Tao Ho is a photographer and musician originally from Canton, China. After he finished his BFA degree of Traditional Chinese Painting in 2010, he switched his direction to photography. He received his MFA degree from Maryland Institute College of Art in 2016. 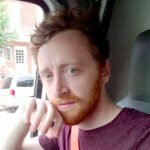 He is currently living and working in New York. 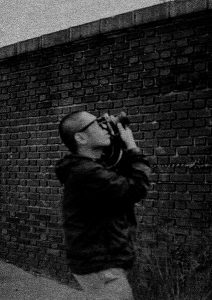 His work is primarily analog photography and darkroom related video, and he also composes music and sound as his side projects. 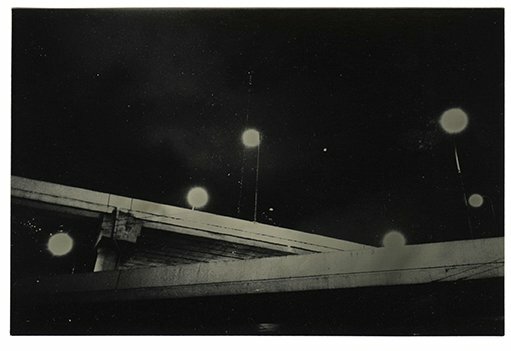 Tao Ho’s photographs in our September issue resonate of the suggested rather than the distinct—they are like glimpses of a larger whole, withholding clarity for the sake of abstracted takes on familiar shapes: odd angles of staid structures, human beings silhouetted against hazy backgrounds, streetlights hovering like alien orbs. The moody, monochromatic palette of his photography evokes a deep nostalgia, steeped in the darkness of the forgotten past; viewing these works, there is the feeling of having “been there,” but the lack of detail makes the recall incomplete. Tao Ho, Driftwood I. Photograph. 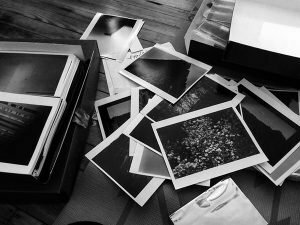 It’s unsurprising, then, to learn that Ho’s interest in photography began with a story told in fragments: black-and-white photographs he happened upon, taken by an unknown Japanese photographer recording his life after heart surgery. 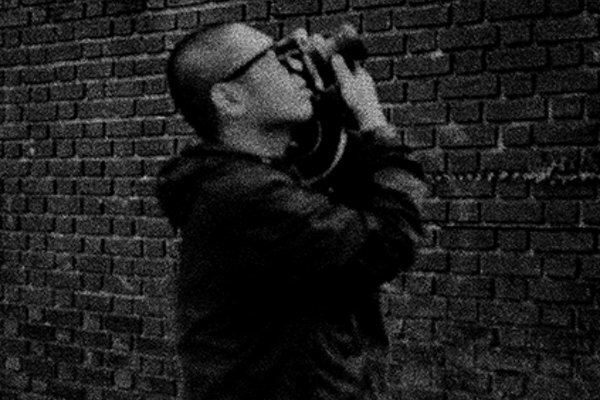 While these photos served as a kind of daily diary, it wasn’t necessarily the narrative that drew Ho in, but the possibilities that the conflicting emotions presented: “the feelings of familiarity” set against “the remote and untouchable.” Since that chance encounter in 2007, Ho has steadily elaborated on his specific style, exploring its own possibilities. An important facet of Ho’s process is the use of analog technology: “It is the only thing that I feel comfortable [with] and it has the closest relationship to me.” This, according to him, is due to the tactile, physical dimension of the analog printing process: “from the intimate touch of the negative, to the use of the camera, to the printing process.” Poetically, he compares the process to music, as each moment in the process has its own “rhythm, expression, tone, speed, and harmony.” Ho also works digitally, but to different, more experimental ends; again, to Ho, it’s the actual process that dictates this difference. Even with this admittance, Ho seems to know clearly the ineffable cosmic-chaotic balance that he’s striving for. When asked why he often focuses his lens on the sky, he explained by way of the Chinese word for the world: 人間, which, when translated literally, means “the space of human existence.” Says Ho: “It fully [expresses] the impermanence—the happiness, the sadness, the wrath, the greatness, and the tragedy. All of these comings and goings, life, and death are all happening on this earth.” In other words, a balance of imbalance. Something worth glimpsing.